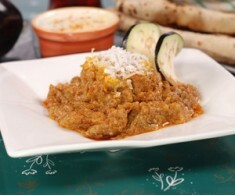 Ingredients Mutton: ½ a kilo Dried Aalu Bukhara: 1 cup Yogurt: ½ a cup Sugar: 1 tabl.. 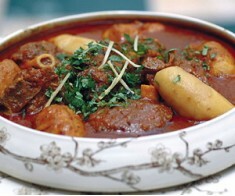 Ingredients Mutton: ½ kg Potatoes: 2 (medium sized and each cut into 4 pieces) Onion: .. 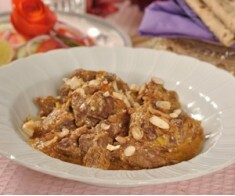 Ingredients Mutton leg: 1 ½ kg Yogurt: 250 gram Milk: ½ cup Saffron: ½ teaspoon Ga.. 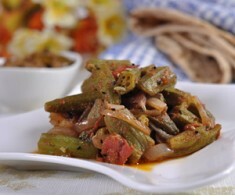 Ingredients Lady finger/bhindi: ½ kg (cut) Onion: 2 (cut) Tomato: 2 (cut) Kalwanji: .. 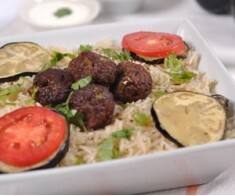 Ingredients Pasanday: 1kg Yogurt: ½ kg Onions: 3 chopped onions Cardamom Black: 2 .. 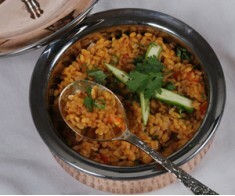 Ingredients Mincemeat: ½ kg Rice: ½ kg (boiled till almost cooked) Daal Moong: 400 gra.. 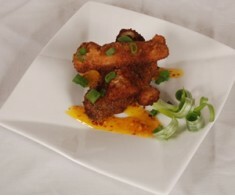 Ingredients Boneless chicken strips: 400 grams Kausar Canola Oil: 25 grams Onion: 100 .. 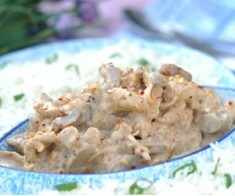 Ingredients Mutton: ½ kg Onions: 125 grams (sliced) Yogurt: 100 grams Walnuts: 50 gr.. 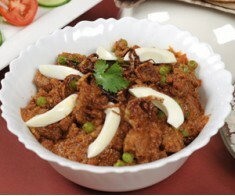 Ingredients Mutton: 1 kg Arvi: ½ kg peeled Onion: 2 (sliced) Red chilies: 2 teaspoon.. 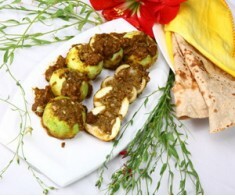 Ingredients Round egg plants: 200 grams Thick Coconut water: 100 grams Coconut Grated:.. 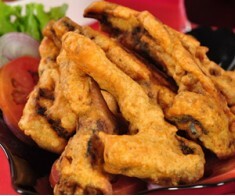 Ingredients Champ (ribs): 1 kg Besan: 1 cup Salt: ½ teaspoon Red chili powder: ½ tea.. 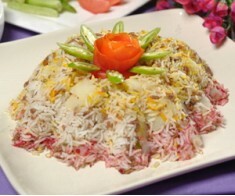 Ingredients Mutton: 500 grams Onions: 25 grams (chopped) Tomatoes: 50 grams (chopped) .. 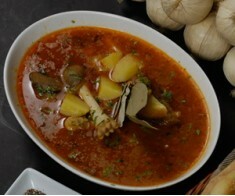 Ingredients Small sized paaye: 4 Potatoes: 2 (boiled and cut into cubes) Tomatoes: 8 (.. 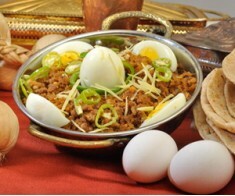 Ingredients Mutton mincemeat: ½ kg Onions: 2 (chopped) Tomatoes: 2 (peeled and cut int.. 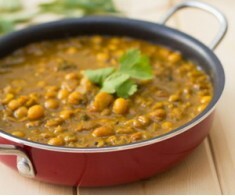 Ingredients Petite Crimson Lentil (LalMansoor): ½ kg Golden gram (Daal Moong): ½ cup G.. 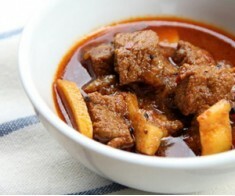 Ingredients Beef (parchay): 1 kg Ginger garlic paste: 2 tablespoons Red chilies (whole.. 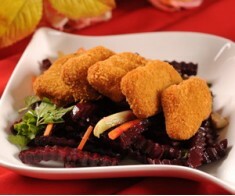 Ingredients White Fish Cubes: 300 Grams Flour: ½ cup Egg: 1 Tooth pick: a few Blac.. 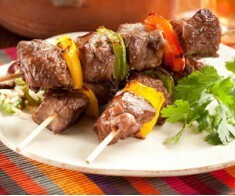 Ingredients Beef: 1 kg Red capsicum: 2 (cut) Yellow capsicum: 2 (cut) Lemon juice: 1.. 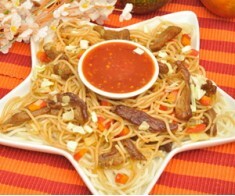 Ingredients Beef steak: ½ kg cut into strips Noodles :I packet (boiled) Cabbage choppe.. 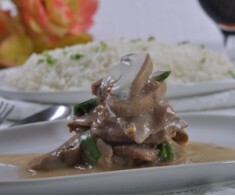 Ingredients Beef (undercut): 300 gm Button mushrooms: 6 Sliced Onion: 1 chopped Spri.. 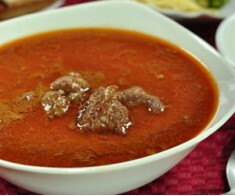 Ingredients Beef (boneless): ½ kg Red chilies (whole): 10 Barri Elaichi: 4 Black pep.. 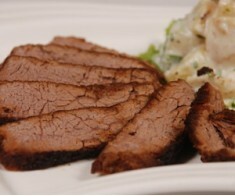 Ingredients Undercut beef steak: ½ kg Lemon juice: ¼ cup Red chili powder: 1 teaspoon .. 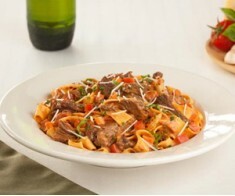 Ingredients Beef: 1 kg Marinara Sauce: 1 cup Cream: 1 ½ cup Beef broth: 1 ½ cup To.. 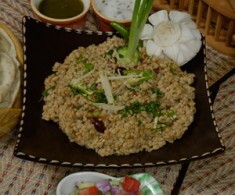 Ingredients Beetroot: 2 (cut) Green salad: 1 cup Walnuts: ¼ tablespoon (roasted) Wal.. 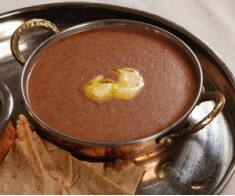 Ingredients Chickpeas (safaid channe): 1 cup (boil them) Onion: ¾ cup (chopped) Corian.. 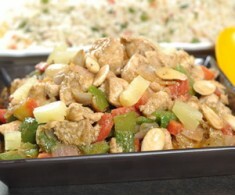 Ingredients Chicken Mincemeat: 500 grams Onions: 100 grams Chopped Tomatoes: 200 grams.. 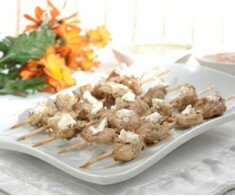 Ingredients Boneless chicken cubes: ½ kg (put salt on it and fry) Mushrooms: 8 (cut into.. 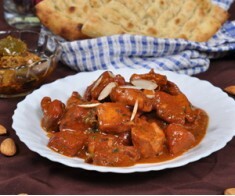 Ingredients Boneless chicken: 750 grams (cubes) Cloves: 8 Cardamom seeds: 8 Green ch.. 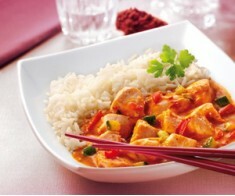 Ingredients Chicken: 300 grams (cut in strips) Strawberry: 200 grams Ginger garlic pas.. 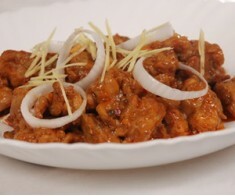 Ingredients Chicken boneless cubes: 250 grams Onions: 150 gram (chopped) Tomatoes: 200.. 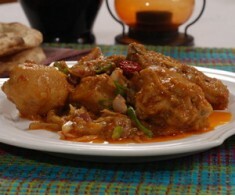 Ingredients Chicken: 1 kg (big pieces) Yogurt: 1 cup Salt: 1 teaspoon Red chili powd.. 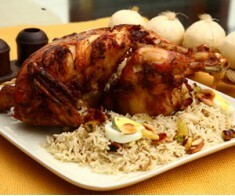 Ingredients Rice: 750 grams (boil till almost cooked) Chicken drumstick: 1 kg Cumin: 1.. 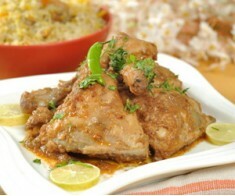 Ingredients Chicken leg pieces: 1 ½ kg Coriander powder: 2 ½ tablespoons Red chili pow.. 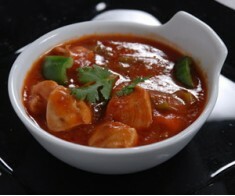 Ingredients Boneless chicken: ½ kg (cut into small sized cubes) Tomatoes: 1 cup (chopped.. 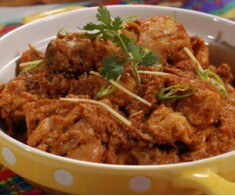 Ingredients Chicken: 1 kg Kausar Banaspati: 200 grams Yogurt: 300 grams Onions: 200 .. 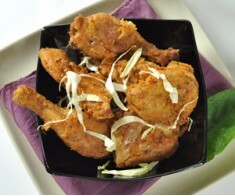 Ingredients Chicken leg piece (boneless): ½ kg Cream: 250 grams Black pepper powder: 1.. 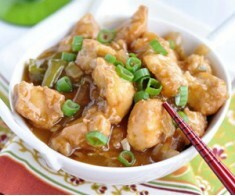 Ingredients Chicken (boneless): ½ kg Chicken stock: 1 ½ cup Spring onions: ¼ cup (chop.. 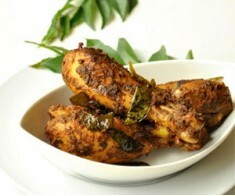 Ingredients Chicken: ½ kg Dry coriander powder: 1 teaspoon Red chili powder: ½ teaspoo.. 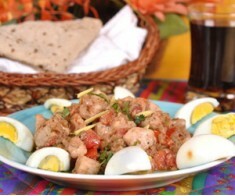 Ingredients Chicken boneless (cut into cubes): 1 kg Onions: 2 (chopped) Tomatoes: 2 (c.. 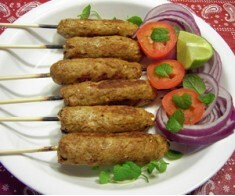 Ingredients Chicken qeema: ½ kg Bhunne channe: 1 tablespoon Corn flour: 1 tablespoon .. 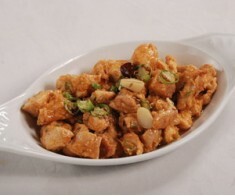 Ingredients Chicken cubes: ½ kg Carrot (cubes): ½ cubes Capsicum (cubes): ½ cup Onio.. 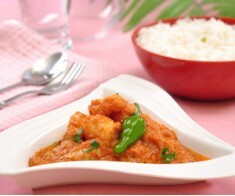 Ingredients Chicken boneless cubes: ¾ kg Rice: ½ kg (boil till almost cooked) Tomatoes.. 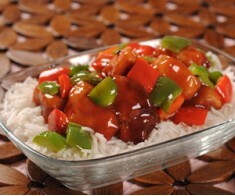 Ingredients Chicken boneless: 150 grams Carrots: 150 grams Spring onions: 150 grams .. 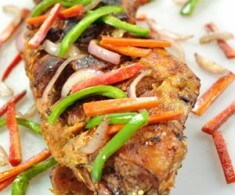 Ingredients Chicken boneless: ½ kg (cut in strips) Onions: 2 (chopped) Chicken broth: .. 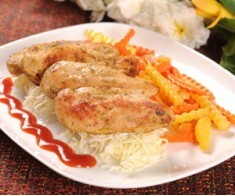 Ingredients Chicken (salami): 1 Black pepper (ground): 1 tablespoon Red chili (ground).. 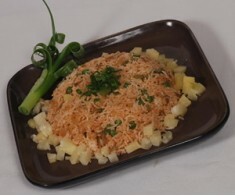 Ingredients Rice: 2 cup (boiled) Chicken stock: 3 cup Soya sauce: 1 tablespoon Red c.. 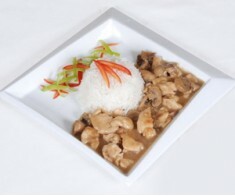 Ingredients Chicken boneless: 250 grams Mushrooms: 12 (sliced) Chicken broth: 1 ½ cup .. 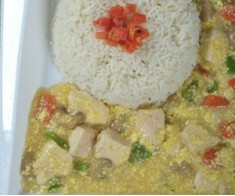 Ingredients Rice: 3 cups (soak in water) Boneless chicken: 1 cup (boiled) Carrots: ½ c.. 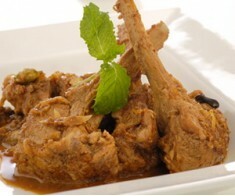 Ingredients Mutton: 1 kg Onion: 4 Green cardamom: 10 Cloves: 10 Coriander powder: .. 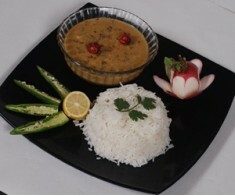 Ingredients Black Gram (Daal Mash): 375 grams Tomatoes: 150 grams (chopped) Cream: 75 .. 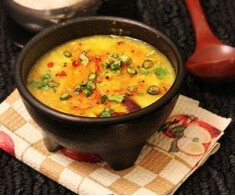 Ingredients Golden gram (daal moong): 450 grams (soaked) Tomatoes: 250 gram (chopped) .. 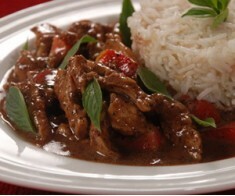 Ingredients Beef mincemeat: ¼ kg Chicken: ½ kg Cinnamon: 1 Onions: 3 (chopped) Clo.. 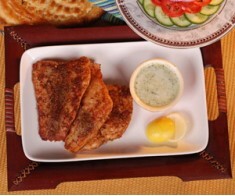 Ingredients White fish fillet: 250 grams Kausar Canola Oil: 12 grams Raisin: 12 grams .. 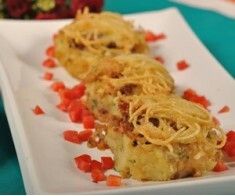 Ingredients Finger fish: ½ kg Bread crumbs: 1 cup Eggs: 2 (separate yolk and egg white.. 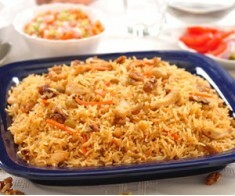 Ingredients For rice: Rice: 3 cups Onions: ½ cup (cut into slices) Hot water: 6 cups.. 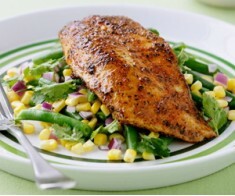 Ingredients Fish fillet: 1 (big piece) Corn flour: 1 ½ tablespoon Turmeric: ½ teaspoon.. 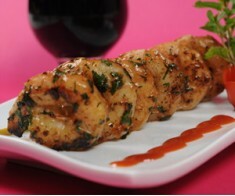 Ingredients Prawns: 24 Egg white: 1 (whipped) Corn flour: ¼ cup Flour/Maida: ½ cup .. 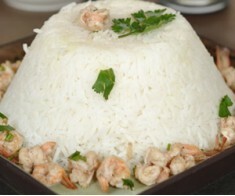 Ingredients Boiled rice: 1 cup Shrimps: ½ kg Salt: ½ teaspoon Grated black pepper: 1.. 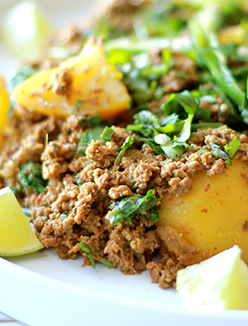 Ingredients Beef: ½ kg (boneless) Potatoes: 1/2 kilo (boiled) Garlic chopped: 1 Teaspo.. 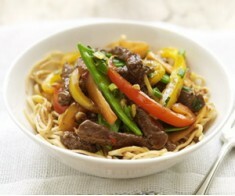 Ingredients Beef: 1/2 kilo cut into strips Noodles: I packet boiled Green Bell Pepper:.. 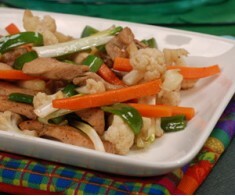 Ingredients Chicken steak: 2 Garlic ginger paste: 1 teaspoon Lemon juice: 1 tablespoon.. 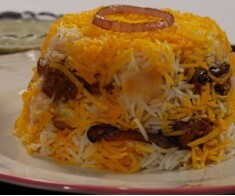 Ingredients Rice: 2 kg (boil till almost cooked) Mincemeat: ½ kg Potatoes: 2 (cut) O.. 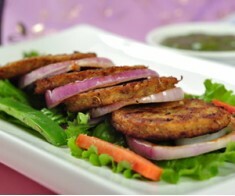 Ingredients Boneless chicken breast: ½ kg (strips) Lentil mix (haleem): 2 cups (soak ove.. 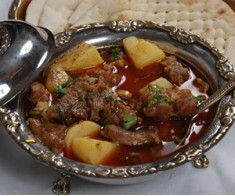 Ingredients Mutton: 1 kg. 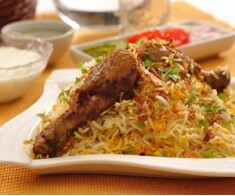 Kausar Canola oil: 250 grams Onions: 400 grams (chopped) T.. 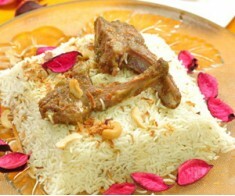 Ingredients Goat’s leg (raan): 1 Ginger garlic paste: 3 tablespoons Lemon juice: 3 tab.. 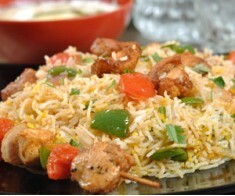 Ingredients Rice: ½ kg (soak in water) Mix vegetables: 200 grams (cut) Kausar Canola O.. 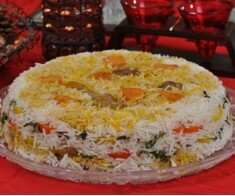 Ingredients Rice: 4 cups Water: cups Raisin: ½ cup Mutton: 1 kg Onion: 2 (cut in J.. 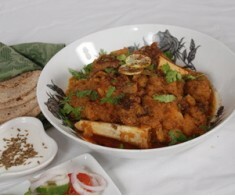 Ingredients Mutton: ½ kg Karele (bitter Gourd): 1 kg (cut) Cumin: 1 tablespoon Ginge.. 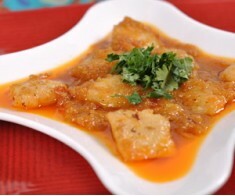 Ingredients Boneless fish cubes: ½ kg Kausar Canola oil: 100 ml Tomato puree: 400 ml .. 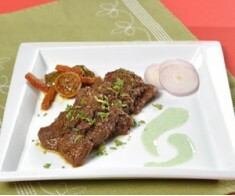 Ingredients Boneless mutton: 1 kg Kausar Canola Oil: ¼ cup Onions: 1 (chopped) Tomat.. 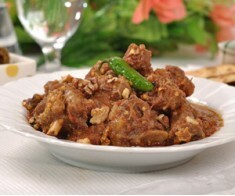 Ingredients Mutton: 1 kg Green chilies: 2 to 3 (chopped) Cloves: 3 to 4 Curry leaves.. 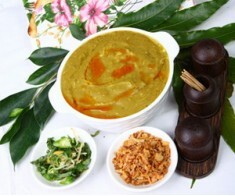 Ingredients (Egyptian lentil) Daal mash: 1 cup Kausar Canola Oil: 5 tablespoons Ginger.. 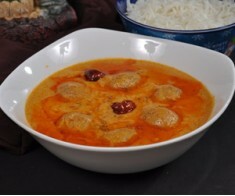 Ingredients Chicken kofta (meatballs): 1 packet Khatti lassi: 1 liter Besan: ¾ cup O.. 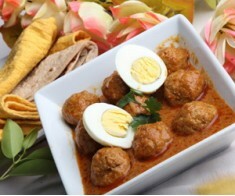 Ingredients Chicken qeema: ½ kg Eggs: 4 (boiled and cut) For kofte (meatballs): Onio.. 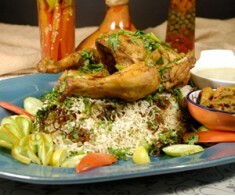 Ingredients Chicken: 1 ½ kg Onions: 1 (chopped) Green chilies: 3 (chopped) Lemon jui.. 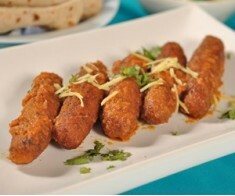 Ingredients Rohu fish fillet: 5 Corn flour: 1 ½ tablespoon Turmeric powder: ½ teaspoon.. 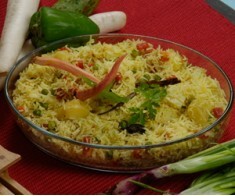 Ingredients Rice: ½ kg Cardamom seeds: ¼ teaspoon Saffron: ¼ teaspoon Zarda color: ½.. 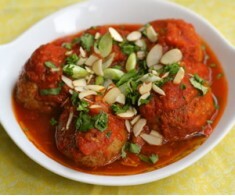 Ingredients For the tomato sauce: Kausar Canola Oil: 2 tablespoons Tomato puree: ½ cup.. 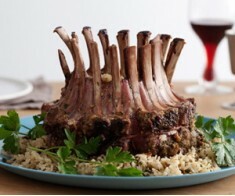 Ingredients Mutton chops: 10 to 12 Water: ¼ cup Vinegar: 1 tablespoon Curry powder: .. 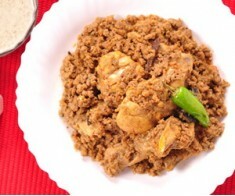 Ingredients Rice: 750 grams (boil rice till almost cooked) Chicken: 1 kg Potatoes: ½ k.. 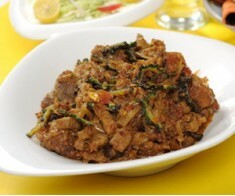 Ingredients Zucchini (teende): 1 kg (medium sized) Onions: 2 (chopped) Green chilies: .. 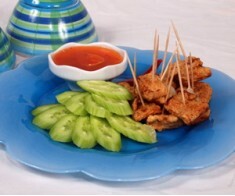 Ingredients Chicken breast: 750 grams Kausar Canola Oil: 125 grams Tomato sauce: 1 tab.. 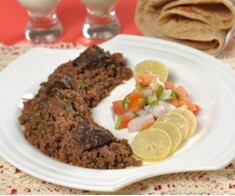 Ingredients Beef Mincemeat (Qeema): ½ kg Onion: 1 (chopped) Tomatoes: 2 (chopped) Eg.. 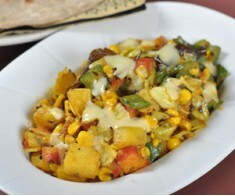 Ingredients Potatoes: 250 grams (cut into squares) Capsicum: 100 grams (cut into squares.. 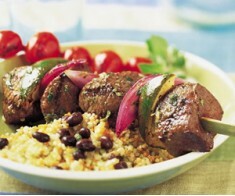 Ingredients Steak boneless: ½ kg (cut 1 inch thick) Grind black pepper: 1 teaspoon Lem.. 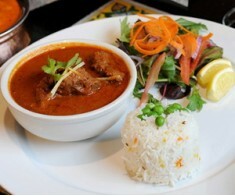 Ingredients Mutton champ: 1 kg Rice: 1 kg (soak in water) Onions: 2 (grind and make a .. 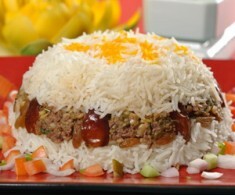 Ingredients Mutton: 1 kg Rice: 1 kg (half boiled) Onions: 2 (cut into rings) Cardamo.. 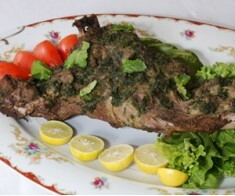 Ingredients Mutton: 3 kg Bakre ke paaye: 2 Brain of a goat: 2 Nalli: 2 Green carda.. 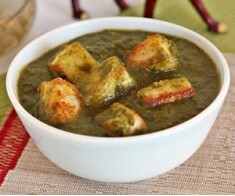 Ingredients Palak (Spinach): 2 ½ cup Hot milk: 1/3 cup Tomato puree: ½ cup Cottage c.. 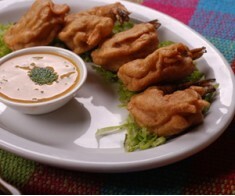 Ingredients Butterfly prawns: 15 Red chili paste: 1 tablespoon Butter: ¼ cup (melted) .. 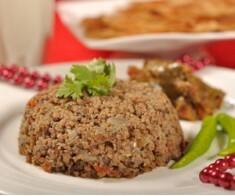 Ingredients Mincemeat (qeema): ½ kg Liver (kaleji): 250 grams Green chilies: 2 to 3 (c.. 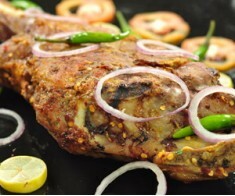 Ingredients Mutton leg: 1 ½ kg Garlic paste: 2 tablespoons Ginger paste: 2 tablespoons.. 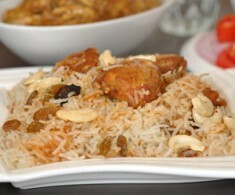 Ingredients Rice: ½ kg Chicken (whole): 1 Cloves: 4 Black cardamom: 3 Badian flowe.. 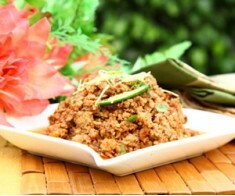 Ingredients Mincemeat: ½ kg Raw papaya: 1 teaspoon Garlic ginger paste: 2 teaspoon G.. 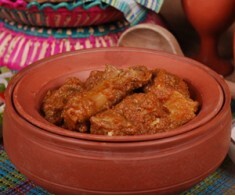 Ingredients Mutton: 1 kg Mutton qeema: ½ kg Turnip (shalgham): 1 kg Onions: 1 (chopp.. 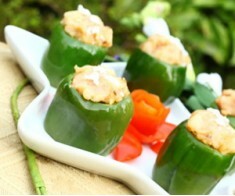 Ingredients Capsicum: 500 grams Kausar Canola Oil: ½ cup For stuffing: Khoya: 150 gr.. 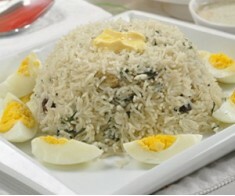 Ingredients Rice: 2 cups (soak in water) Kausar Canola Oil: ½ cup Spinach: 1 bunch (th.. 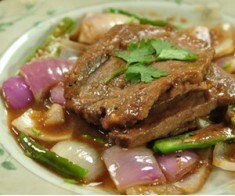 Ingredients Undercut beef: 1 kg Onions: 1 (cut into cubes) Green chilies: 4 (cut in ha.. 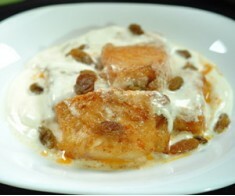 Ingredients White fish fillet: ½ kg (cut into 1 inch cubes) Ginger: 1 tablespoon (choppe.. 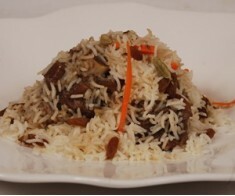 Ingredients Mutton mincemeat: 250 grams Rice: 2 cups (soak in water) Chicken stock: 3 .. 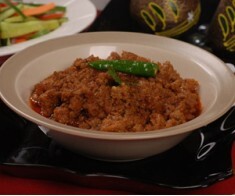 Ingredients Beef qeema: ½ kg Tomato: 1 (chopped) Onion: 1 (chopped) Green chilies: 3.. Ingredients Boneless chicken breast: 3 Tomatoes: 2 (chopped) Coconut milk: 1 cup Chi.. 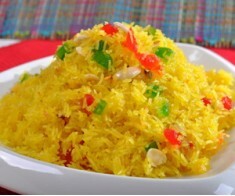 Ingredients Rice: 200 grams (boiled) Capsicum: 25 grams (cut into squares) Pineapple: .. 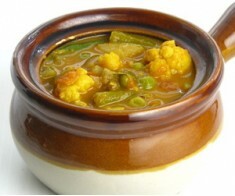 Ingredients Brown lentil (Daal masoor): 1 cup Water : 1 ½ cup Tomato: 1 chopped Onio.. 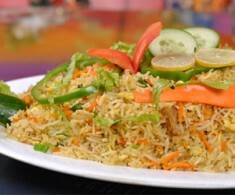 Ingredients Potatoes, peas, carrots, cauliflower, phaliyan (chopped): 2 cups Coconut mil..